PSIP 2007. Getting to Mulhouse. By tramway: (from downtown) take line 2, direction "Coteaux". 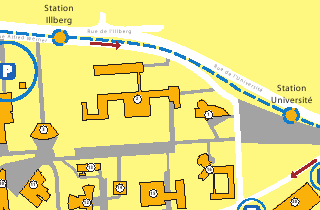 Stop at "Université" or "Illberg" station, and follow the signs. 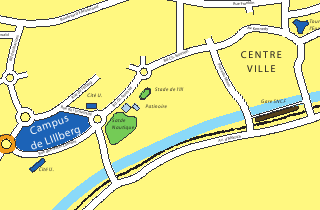 By car: follow "Université" traffic pannels, at round-about "Maurice and Katia Kraft", take "Rue des Frères Lumières", go up till parking ENSISA."